Classic furniture offers fantastic opportunities to create beautiful, functional, and comfortable children’s bedrooms which kids can enjoy as they grow. There are certain pieces of furniture that children cannot live without, and the classic wooden items never go out of style helping save money on redecorating the interiors for growing kids. Light colors, – creamy white, pale gray and beige, pink and blue – look gorgeous with luxurious and warm golden details and brown color shades. Wooden floors are excellent choices for children’s bedrooms, and wool carpets can add warmth to the interior design while bringing chic and ultimate comfort into homes decorated in the classic style. Carved wood accents give a rich look, while crystal chandeliers create a bright environment, perfect for adults and kids. All parents wish to see their children appreciating the beauty and demonstrating good taste when they grow. Home furnishings in traditional style influence people since early age helping children to form their beautiful style enhanced by the appreciation of the best of the past centuries and traditions. Classic style stays modern forever. Contemporary accents, stylish colors of walls, and textiles with modern prints can enhance it in a creative and unique way, giving a chance to personalize kids spaces and design attractive bedrooms which children enjoy for years. Light paint colors of white and gray, pale pastels, and light brown colors look fabulously appealing and bright, bringing lots of light and comfort into kids rooms. Wood furniture and textiles made of natural fibers are eco-friendly home furnishings creating a healthy environment for children. Traditional beds, nightstands, shelves, chairs, and tables with carved wood details or painting accents add timeless elegance to modern interiors. Crystal chandeliers and elegant table lamps charm children and adults. 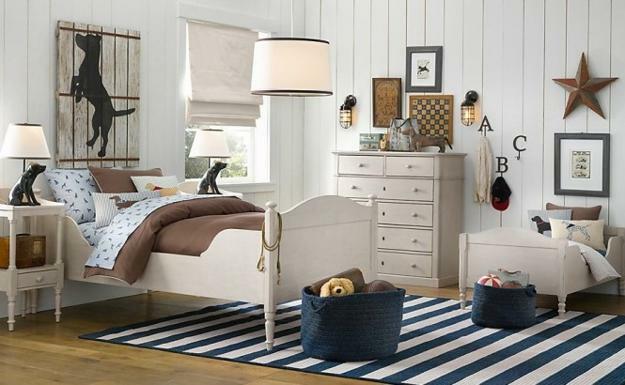 Beautiful bedroom furniture and lighting fixtures in a classic style are an excellent choice for young kids rooms and baby nurseries. 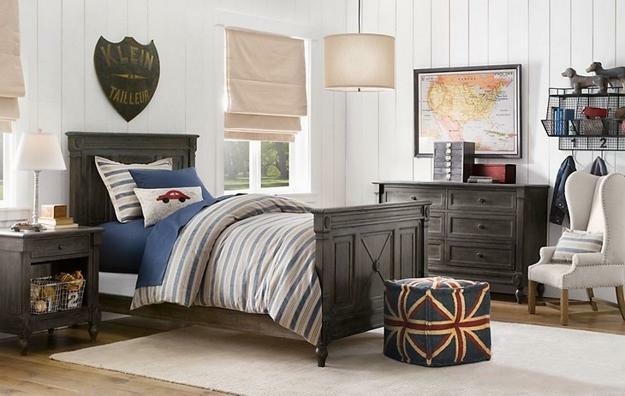 Older children and teens enjoy home furnishings in classic style also. 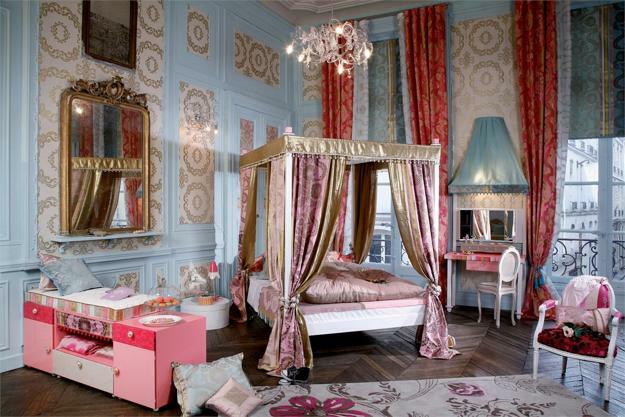 Wooden furniture is ideal for kids room design. Oak, birch, pine, curvy lines and beautiful fabrics bring old-time chic into modern interiors and provide excellent home furnishings for children’s bedroom decorating. Wood furniture in classic style creates comfortable kids rooms which are a functional blend of relaxed sophistication, timeless elegance, comfort, and beauty. 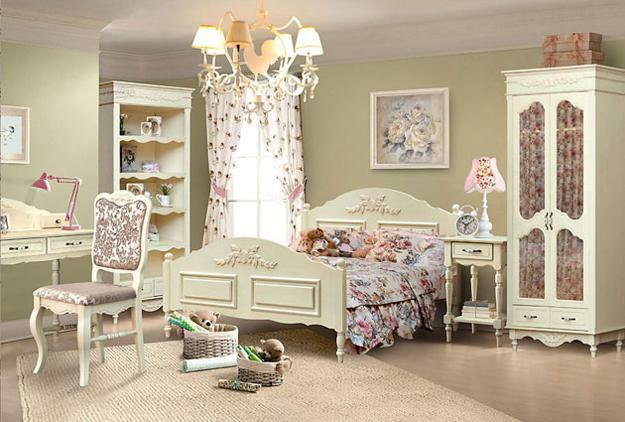 White painted wood furniture or pieces in beige, pale pastels, and brown colors look almost neutral, suitable for boys and girls bedroom design. Modern pastel hues, natural green, yellow, blue colors and red colors, mixed with unique details in the classic style help personalize and brighten up kids bedrooms while creating an elegant connection with the rest of home interiors in a traditional or neo-classic style. Safety is the most critical element in choosing children’s furniture. Kids play with furniture, so selecting durable, eco-friendly, and stable wood furniture pieces protects children. Designs and materials which are safe and comfortable create the best furnishings and healthy environment for kids. Soft curves without sharp points give beds, tables, and chairs, an elegant look and ensure the safety of active children playing in their bedrooms. Modern kids furniture in the classic style is eco-friendly, elegant, casually sophisticated, comfortable, and long-lasting. 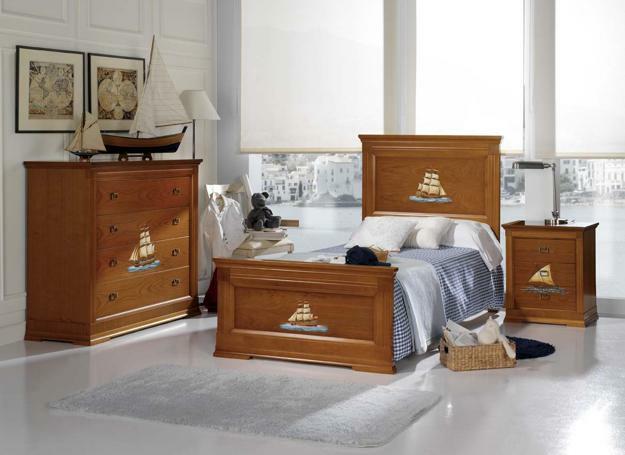 Solid wood furnishings help save money on children’s bedroom decorating as kids grow. Wooden furniture is a perfect choice for creating attractive, healthy, and functional home interiors for toddlers, older children, and teens.